Valentine’s Day is a day of romance and love. A day to show the people you love just how much they mean to you. Men often shower their ladies with jewelry, flowers, and chocolates. Flowers for centuries have symbolized fertility, love, marriage, and romance. However, ladies it can be difficult to know what to get your man for Valentine’s Day. You love your man and want to equally show your appreciation for him on Valentine’s. So you hit the Internet looking for ideas. You probably have received many pieces of jewelry from your man over the years, but you weren’t sure how to reciprocate a similar gift. Whether your man loves to wear a watch everyday or usually never does: a nice watch is a good addition to any man’s wardrobe. With so many styles of watches and a vast price range you can find one that perfectly fits your man’s style but also your budget. I think it is always fun to get a little cheesy/romantic on Valentine’s Day. A great idea is to put a note or card with the watch that really tells him how much you love spending TIME with him. He will appreciate the thoughtfulness and time you put into making him feel special. Simply buy him his favorite beer. He will appreciate that you remembered what he likes and be happy to enjoy something he likes on Valentine’s Day. Take him to a local Brewery. Here in the Shenandoah Valley we have a plethora of wonderful craft breweries that have great atmospheres, tasty craft beer, live entertainment, and great community events. 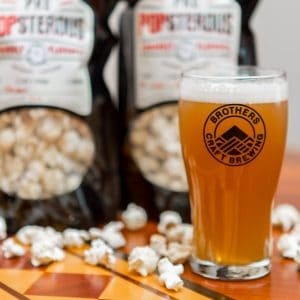 One of our local favorites is Brothers Craft Brewing. 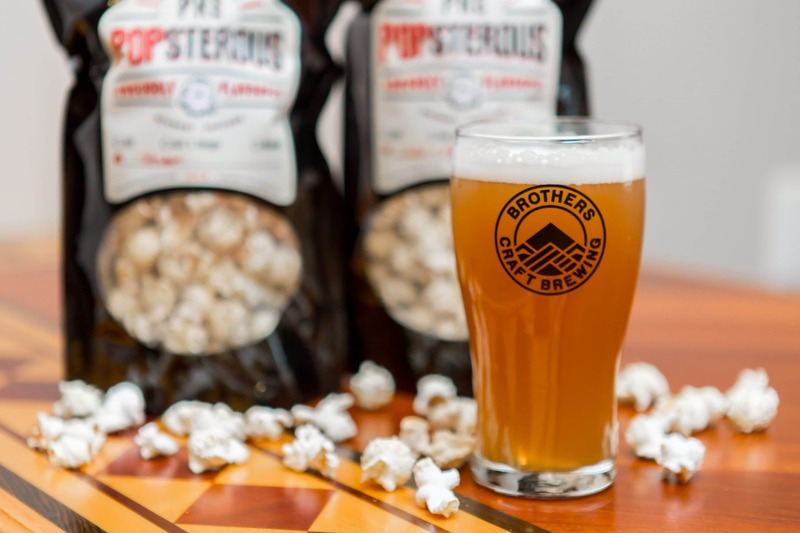 They have a great selection of beer and they even sell PrePOPsterous® popcorn, so it is a win for everybody. He will appreciate doing something he enjoys and spending quality time with you. Although you may not want to get your man a box of chocolates for Valentine’s Day, he probably still has a sweet craving he needs satisfied. 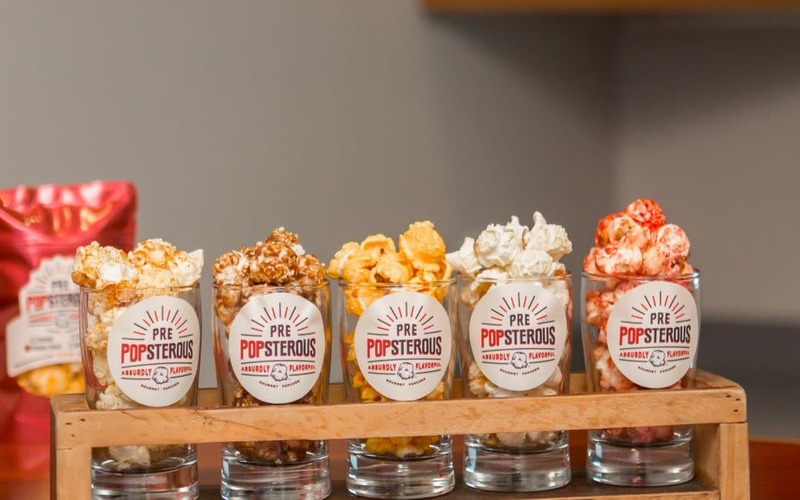 Our AbsurdlyTM Flavorful popcorn is not only a great way to get him his sweet fix, but he can enjoy this gift on Valentine’s Day, at work, while watching a big game, or just snacking at home. We also not only have Absurdly Sweet flavors, such as AbsurdlyTM Caramel or Chocolate, but you can combine them with a savory flavor and get the perfect balance of sweet and salty. Your man may also love AbsurdlyTM Cheddar, Dill, or Salt-n-Vinegar. Want to add a list spice to your day? Consider our AbsurdlyTM Wasabi or Spiked Cheddar! You can shop all our flavors here. Whatever you and your love decide to do we hope it is a day filled with love, happiness, and romance. Happy Valentine’s Day!